Coupling the classroom with experiential learning creates a multi-dimensional environment that significantly leverages the learning process. By enabling our students to leverage their professional work experience with skills learned in the classroom, these accelerators close the gap between theory and practice. They help us deliver on our promise to our corporate partners, those who recruit our graduates, that we produce individuals who can get the job done and add value to their organizations from day one. Check out the opportunities below to discover how to accelerate your learning. The Experiential Learning Collaborative (ELC) brings UConn students and the business community together through collaboration on real-world projects. Participation in collaborative projects introduces students to the contemporary business practices and helps business executives recognize the high potential of UConn students as their future employees. The ELC develops and facilitates the ecosystem of cross-disciplinary experiential learning, provides qualified help to business clients, and introduces students to advanced business practices. SCOPE promotes social entrepreneurship and social innovation by working with non-profit organizations and for-profit companies that have social outreach and community impact as a significant part of their strategic missions. We apply a business-centric lens to improve the sustainability and effectiveness of these organizations. Established in 1999, UConn’s Student Managed Fund (SMF) is one of only a handful in the nation to have $2 million of real money to manage. Reporting to the University’s Investment Advisory Board, students use their intensive classroom training in stock market theory to help them research and analyze stocks, and develop investment strategies. SMF students also learn the accounting and reporting necessary for professional fund management, and are treated in this regard by the UConn Foundation like any other outside manager of the University's endowment money. 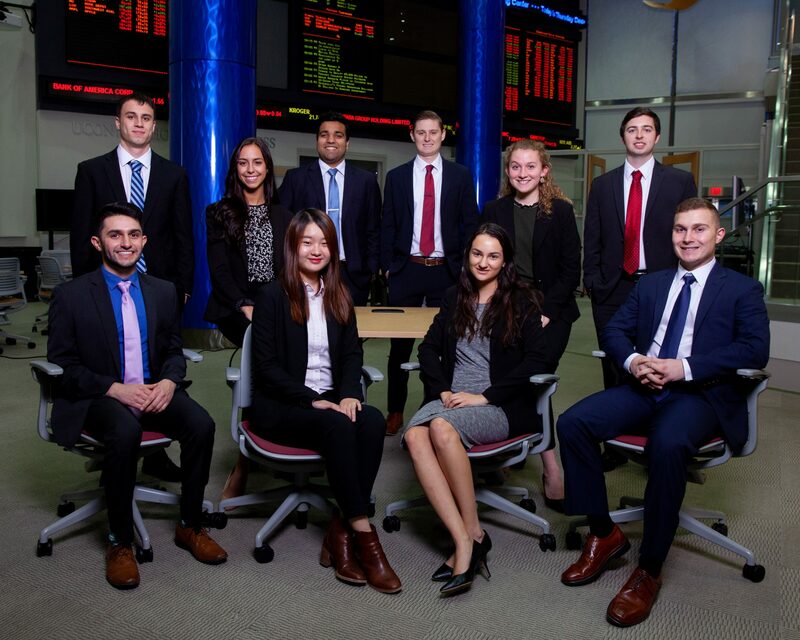 Aside from enhancing their marketability to potential employers, students gain vital first-hand experience in investment and portfolio management, and work closely with seasoned professional investment managers within the Investment Advisory Board. Want to Learn More About the Experience?